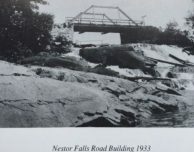 A couple of you have asked us where the name “Nestor Falls” originated. 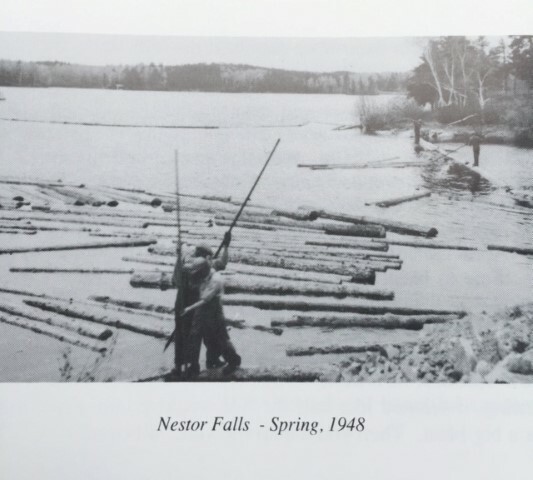 Back in the late 1860s, logging operations were very active here in Northwest Ontario. The lakes above Lake of the Woods were logged – specifically Kakabikitchiwan (Pine Lake), Wigwam Lake, Maril Lake, and Height the Land. A man by the name of Mr. Nestor traveled by boat down the Rainy River across Lake of the Woods to a remote area between Pine Lake and Sabaskong Bay. He set up camp close to the natural falls and directed operations to the east at the above-mentioned lakes. Sluice ways were built between Wigwam Lake, Maril Lake, and two more at Height the Land (Kishetatina). 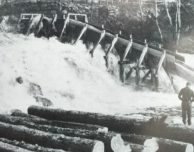 The logs would be boomed and floated to the top of each dam, and when the time was right the dam would open and a rush of water would carry the logs to the next level. This was repeated at every dam until the final drop over the falls. 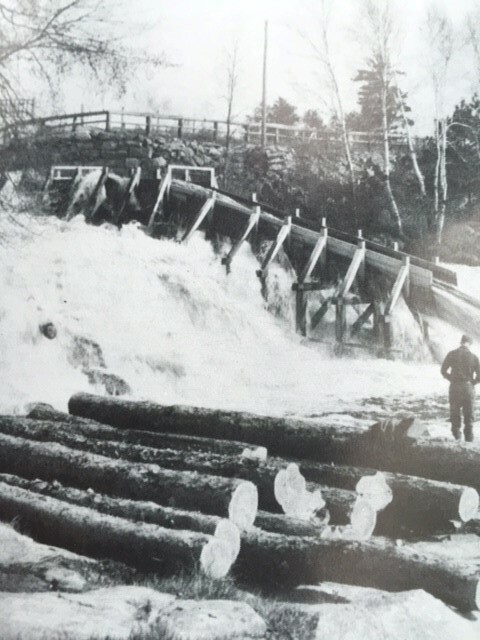 Large tug boats picked up the log booms and towed them to Kenora. 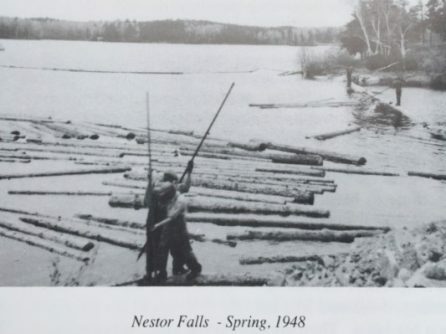 So, there you have it – Mr. Nestor used our natural falls to move timber 100+ years ago. 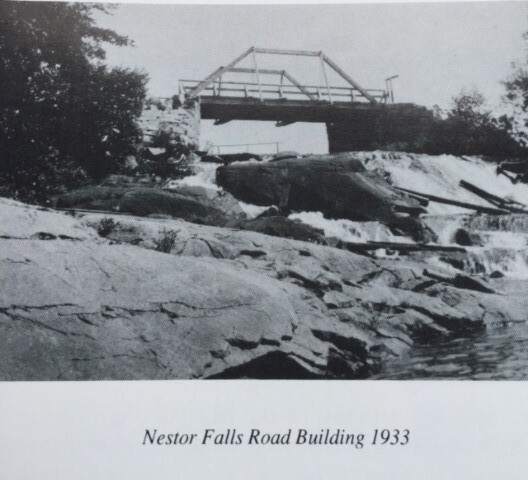 Today, we’re Nestor Falls!